Over the weekend, the “How Hard Did Aging Hit You” challenge was up and down my social media feed. Seeing everyone post their glow up from the past to present got me to thinking about my own challenges that I’ve experienced over the years. With that being said, I went down memory lane and gathered some photos that sparked a memories, whether good or bad. Today, I wanted to share a few life lessons and stories with you to help you get better acquainted with this Emerging Adult! My mommy and I circa 1993. This was before my parents got married the next year. Although I had another sister on my dad’s side, I grew up an only child until my brother came along around the age of 8. During my early childhood days I lived in Georgia, Texas, Mississippi, then back to Georgia after my parents’ divorce. 2000. 8 years old. I was getting adjusted to having another child in the house. At this point I was in 2nd grade. Elementary school was pretty interesting. There were A LOT of embarrassing moments that included crushes, walking to school with a hot pink and white polka dot suitcase in place of a rolling book bag, and having my clip on ponytail fall off while jump roping during recess. I DO NOT miss those days. 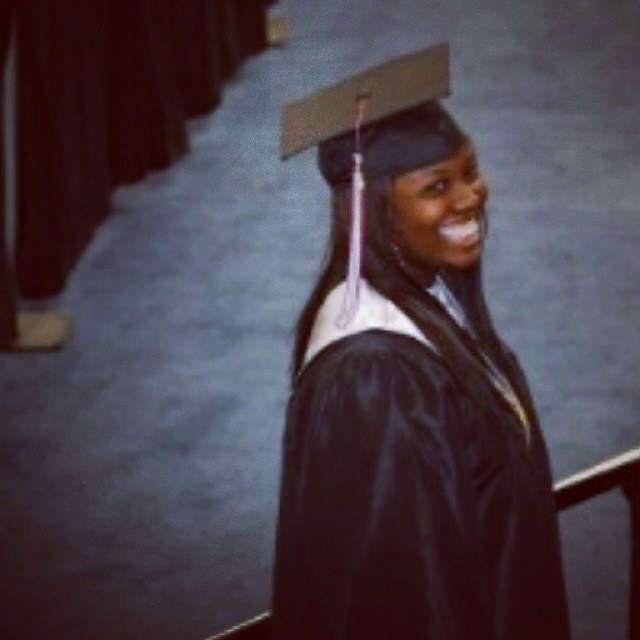 In 2011, I graduated from Davidson Fine Arts Fine Arts Magnet School. It is also the year I began my collegiate career at Armstrong Atlantic State University (aka Armstrong State University, aka Georgia Southern University). I went to college as a naive, shy, quiet drama kid. Of course I did the average “college” thing like go to parties, trying to talk to every guy I saw, keeping my “religion” while trying to fit in, peer pressure, and the list goes on. During this season of life I learned how to manage life away from home and the power of a bowl of ramen noodles. I made new friends and lost touch with old ones. I also joined a couple of extra-curricular activities like the Gospel Choir. The gospel choir played a major role in my life throughout my college years; I learned a lot about myself and established some amazing friendships, many that are still considered great friends to this day. In 2013 I got into my first “serious” relationship. It is also the year that I lost my virginity and became your typical curious college student. I got involved in things that I quickly found out weren’t for me. I hung around the wrong crowd and was exposed to things I had previously only heard or read about. By the end of the semester that relationship ended and I was back to enjoying the single life and experiencing growing pains that come with slowly entering adulthood. Towards the end of 2013, I turned 21. This picture was taken the night before my birthday; I remember going downtown to celebrate and brought in my 21st year in a bar on River Street. Because I was one of the oldest in my group of friends, the only person that accompanied me during the festivities was my roommate at the time who had just happened to turn 21 a couple of weeks before me. 21 was a pivotal year for me. I survived my first hangover, went through my 4-month THOT-ish stage (no judgement), broke off a cyclical 3-year situationship, got serious about my relationship with God, and began my celibacy journey. This was a very interesting year to say the least! In 2015 I graduated with my Bachelor’s degree in Health Sciences (Public Health track). I had all intentions on moving back home for at least 6 months, save money, and return back to school for my Master’s degree. Within one month of being home I realized that that was not the life for me! I immediately applied for grad school and by August I was back in Savannah as a grad student. 2016. So many things were happening! This was the year my best friend and I decided to move out on our own. On top of the new level of independence, I also reached a new level of singleness where I tried to date every Christian guy that I came into contact with. In my mind, the clock was ticking and I needed to be married off quick, fast, and in a hurry. I was reading and watching every book, article, and YouTube video I could get my hands on about Christian dating. I was a lonely, young hot mess. April 2016 was a very pivotal moment that changed my life for the better. After discovering for the millionth time it wasn’t going to work out with a guy I “liked”, I had to come to terms with myself. I wasn’t happy and I was trying to do God’s job in filling a void that only he could fill. That wonderful night I was driving home from a church event with my best friend and “Yes” by Shekinah Glory came on. God really started to deal with me and before I knew it I was in the car bawling; to this day my best friend and I can’t hear the song without thinking about the night in the car. I remember going home, going to our prayer closet, and made a vow to God that I was going to totally focus on Him find out who He has really made me to be. After that moment , #journeytwome was birthed and the real Shauntia started to come out. My skin was glowing, I was drinking my water, furthering my education, and the work of God was truly evident. I also attended my very first conference (Pinky Promise) and was forever changed! I’ve had thick hair all of my life. Because of the texture of my hair, without a relaxer it was considered “nappy” and unmanageable. I was always under the impression that I could never go natural because of those characteristics. 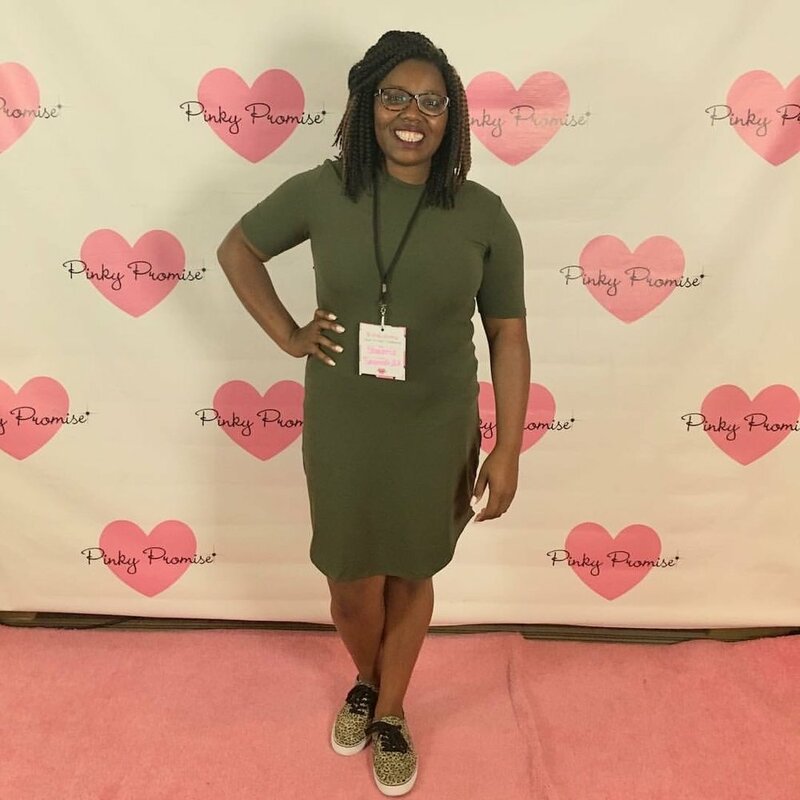 As I stated before, the Pinky Promise Conference was life-changing, especially since it gave me the courage to go against the grain and become a naturalista. At the conference I was surrounded by thousands of young ladies and 95% of them were natural. It really showed me the dichotomy of natural hair and allowed me to say that all hair was beautiful, no matter the length, texture, or color. September 2016, I did the big chop and haven’t looked back since. Going natural has forced me to see my beauty for myself, even when others don’t. The journey hasn’t always been easy, but I’m glad that I found the courage to just do it! 2017…..THE TUMULTUOUS YEAR! The year started off great. 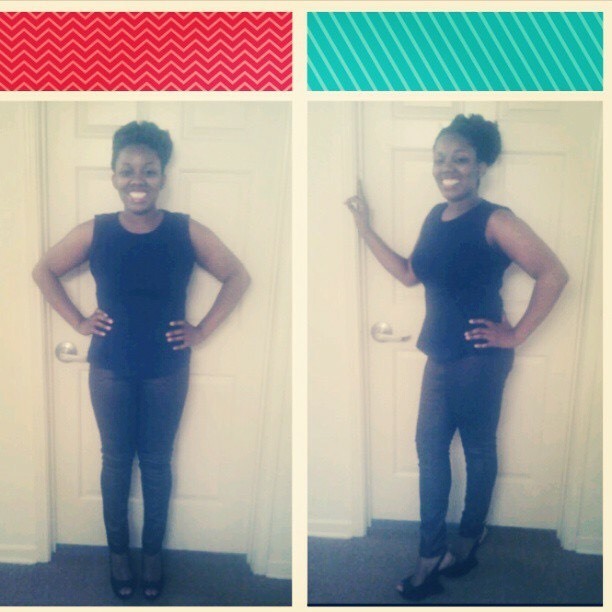 I was in a new relationship, finishing up my degree, beginning the journey of living alone, and other great things. After graduating with my Master’s degree, things took a turn for the worse. I went through a break up, became jobless for a short period of time (after moving into my first apartment alone might I add), suffered terribly financially, temporarily lost my best friend, the list goes on. One of my lowest moments in 2017 was getting a paycheck a whopping total of $36.00. At some points, I literally couldn’t see my way out. It became dark for a moment. There were a lot of tears and a lot of suffering in silence. Though it was rough I’m thankful that I never went without a roof over my head, gas in my car, or food in my refrigerator. Looking back I KNOW that that was God who brought to where I am now and kept me. 2019. I am FINALLY happy in who I am becoming. I am more confident and more open to possibilities that may take my life on a different path than what I can imaging. I am finishing up my second Master’s degree, own a thrift boutique, still managing living alone, and working a full-time job with benefits. I am learning new things about myself every single day and I am releasing the things that doesn’t add to my life. I am blessed. I am loved. I am ME.